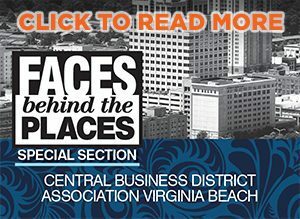 The addition of The Main and multimillion dollar makeover of Sheraton Norfolk Waterside have made significant strides in the revitalization of Downtown Norfolk. Ready to join the ranks of updates and remodels is nearby hotel, Norfolk Waterside Marriott. Earlier this year, the Marriott announced plans for substantial restorations to the 24-story building including entirely new guest rooms, updated restaurants, a reimagined lobby and presidential foyer and an autonomous robot butler named MARY-BOT. Leading the remodel is Paramount Commercial Renovations. The first phase of restorations began in November and includes cosmetic changes to the hotel’s two onsite restaurants, Shula’s 347 Grill and The Dining Room, as well as full-blown makeovers to all 407 guest rooms and penthouse suites. 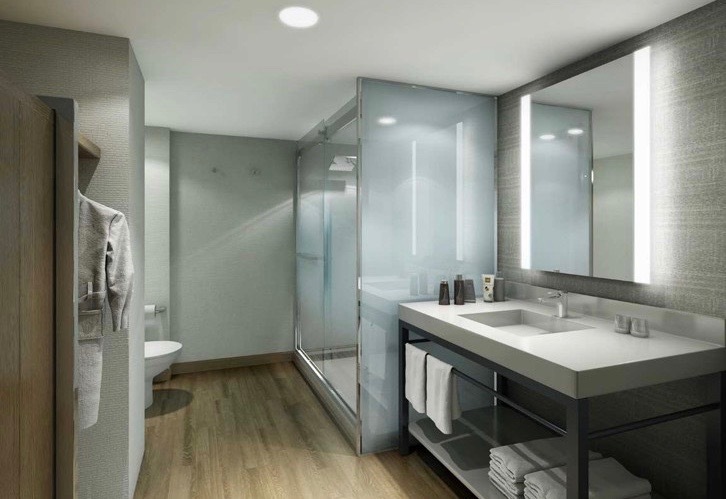 Once completed in August 2019, each room will feature a modernized bathroom, barn-style interior doors, a 55-inch television, RFID room locks and pullout chaise lounges in king suites. Marriott also plans to create a new junior presidential suite with an adjoining king suite. To limit guest disruption, Paramount Commercial Renovations will close only four floors at a time for construction. Before launching phase two in June 2019, Marriott will introduce MARY-BOT. The 3-foot-tall Relay robot designed by Savioke can be requested by hotel guests to deliver an array of goods including snacks and sundries to linens and full meals. Hotel staff receive the order, load Relay with the shipment and key in the guest’s room number for delivery. MARY-BOT will then use a series of sensors and wireless connections to hotel elevators to reach guest suites within five minutes or less and ring recipients once she arrives. As guests enjoy their new rooms, construction will begin in the main lobby and presidential foyer in June 2019. Replacing the lobby’s piano lounge will be a full-wall bar and shuffle board space that can accommodate up to 75 guests for private events. Also coming to the lobby are a Lobby Café offering “We Proudly Serve” Starbucks coffee and a 24-hour snack stop named The Market. Expected completion for the Norfolk Waterside Marriott is 2020. Norfolk Waterside Marriott is located at 235 E. Main St., Norfolk.